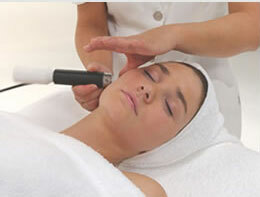 Microdermabrasion facials are the leading skincare treatment in the UK, using a fine jet of abrasive crystals gently removing dead skin cells, stimulating blood flow-encouraging collagen and elastin resulting in firmer, revitalised youthful looking skin. Ideal for fine lines/wrinkles, pigmentation, acne or scarring. Single ‘beauty boost’ treatments are highly beneficial however we recommend six to eight facials, one per week – then one monthly thereafter.